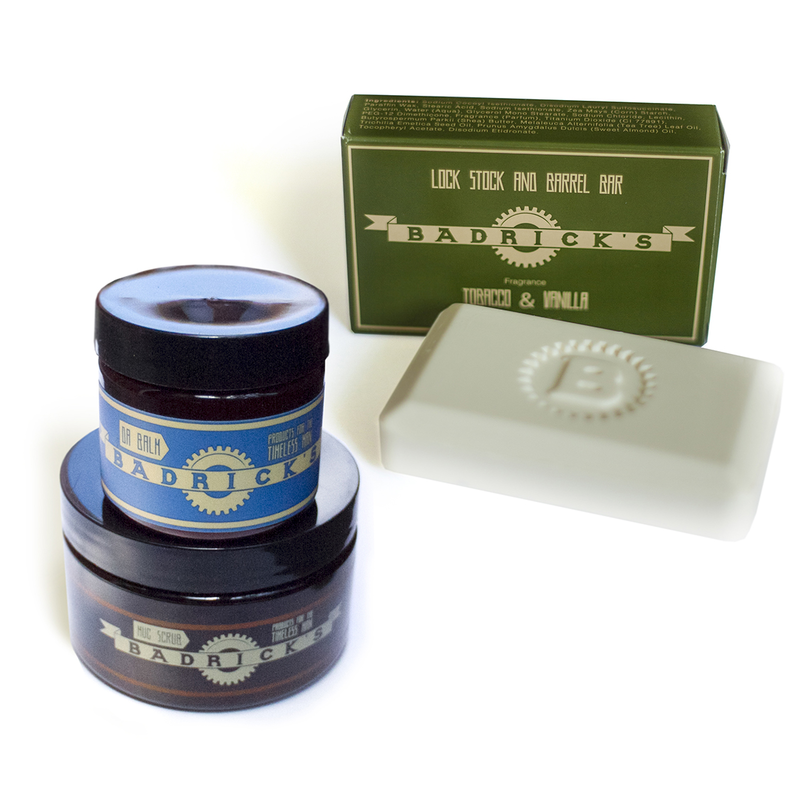 The Badrick's Better Beard Kit contains our three signature products, Mug Scrub, Lock Stock and Barrel Bar and Da Balm, as well as your very own Badrick's embroidered face towel. Towels only available while supplies last. At Badrick's we want every beard to be better. Kit valued at $47.85. Included in your kit: 1 Da Balm, a multipurpose balm useful for moisturizing your face and beard in addition to being a light weight styling agent and cold fighter. 1 Mug Scrub, our scrub is a versatile exfoliant good for sensitive to oily skin. By using a natural exfoliant, walnut shells, we are able to slough away dead skin to prevent ingrown hairs, irritation and healthier and more comfortable beard growing or even- dare we say it- shaving experience. Our kit now includes our acclaimed Lock, Stock and Barrel Bar. With its dual action moisturizing and cleansing properties, you can use the LSB bar on hair, face and body. The tobacco vanilla sent ensures you'll smell fresh throughout the day.